﻿ Why Mackie - QHP is Edmonton's Best Moving Company | Mackie - QHP Moving & Storage Ltd. This is just a short note to say thank you to everyone involved with our recent move from St.Albert, AB. to Clearwater, BC. The loading, in October, was accomplished with speed, care and plenty of good humour by Kendall and his crew. Now that we are settled into our new facility in the Edmonton Research Park, I wanted to write and thank you and your staff at Mackie - QHP Moving and Storage for the successful move of all our company to a new facility. We had the pleasure of using your service to coordinate the move of our company in January 2005. This required the relocation of our offices, manufacturing facilities and warehouse (total area 20,000 sq.ft.) from the three different locations for three different days. Also, we have a numerous amount of very fragile and delicate electronic equipment, which required from movers special attention and skills. The planning meetings and the move kit provided by you ensured that our stuff was well prepared when moving day arrived. We were very pleased with the move - everything went as planned. The movers we have dealt with have been professional, courteous and always helpful, open for additional tasks and requests. Our association began in December 2000 when we were faced with quickly relocating office buildings. After providing a comprehensive quote we connected with Mackie - QHP to become our mover of choice for the first of two moves that would happen over a six-month period. 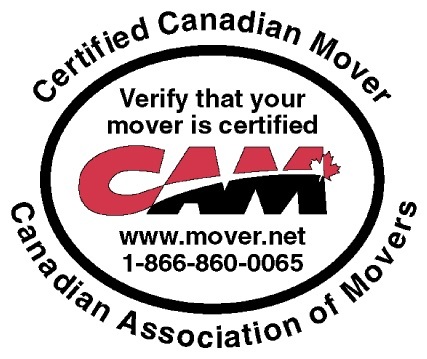 The movers we have dealt with have been professional, courteous and always helpful. They have worked hard and I'm pleased to report that after two moves there were no issues regarding damage or loss of property. Since our second move, Mackie - QHP has continued to provide interoffice moving services. The service is great and the price is always reasonable. "I would recommend Mackie - QHP in a heartbeat..."
Unloading could have been interesting, weather wise, for the 20th of December in these parts brings icy conditions and snow most years. JC, Howard and Andrew did a fine job getting my precious "junque" off the truck and settled where we asked and no one griped when I had to chance the location of the item. Thanks to them all - they are truly appreciated for their patience and work ethics. Let Mackie - QHP Moving & Storage Ltd take the weight and worry of home moving off your back: Mackie - QHP household packing service is at your service! I would recommend Mackie - QHP in a heartbeat for anyone moving, and if we ever do again, I'll be calling you for a quote!